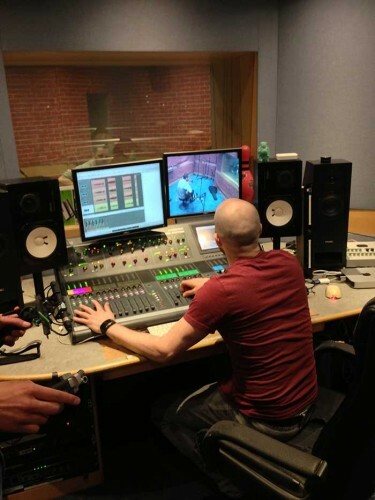 An Allen & Heath iLive digital mixing system has been installed in the live studio of top UK radio station, XFM. Comprising an iLive-T112 and iDR-64 MixRack, the system is used to record visiting artists for pre-recorded sessions. The MixRack is mounted in the studio’s equipment rack so it can easily be patched to the studio tie lines and building’s technical network. The iDR-64 is fitted with an M-DANTE module, and connected to a Mac which has Dante Virtual Soundcard and runs Apple Logic for recording. Mic preamp signals are sent pre-processing to the DAW. Additional Dante channels are used via the iLive patchbay inserts to access plug-ins in the DAW. The choice of Dante networking permitted the stage box to be taken to the roof terrace on occasions to record a session upstairs whilst mixing downstairs in isolation but with full control over CAT5. "The studio is busy every day with visiting artists. This week for instance, we’ve had Phoenix, Rudimental, Tribes, Dinosaur Pile Up and Ben Howard through the door! iLive has been great to work with. I love the transparent preamps and the tracking workflow. 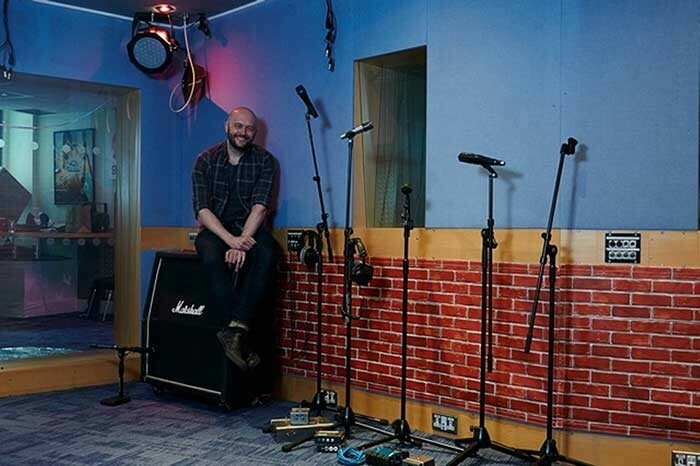 I’m a post colour mixer so 64 ins 32 out are a great advantage for our live tracking needs," says Chris Denman, Live Producer & Sound Engineer at Global Radio Group. Additionally, up to 10 stereo auxiliary headphone mixes are provided for musicians’ personal monitoring. Musicians also have the option to dial up and tweak their mixes using an iPad running the OneMix app. "I find it is very quick and easy to set up monitor mixes I can create an amazing stereo mix and then copy/paste across the auxes and only have to make minute adjustments for each band member. This creates a very relaxed and pleasant environment for tracking," Denman explains. 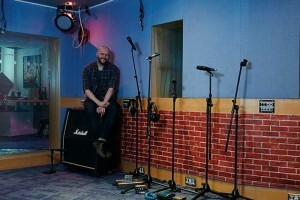 In picture: Chris Denman at the XFM studio.